Let's build this Foundation together. 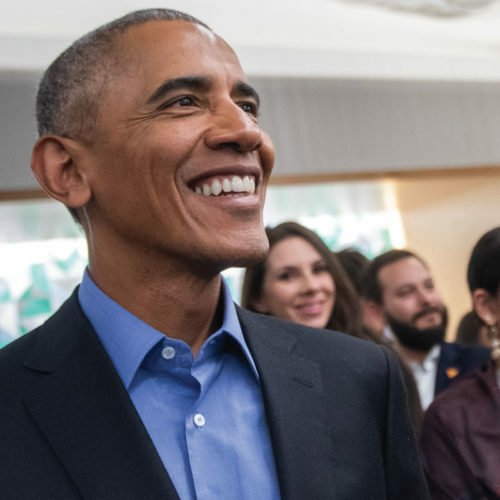 Become a monthly contributor and keep an eye on your mailbox for a token of appreciation sent straight from the Obama Foundation’s Chicago HQ. Choose your contribution below. 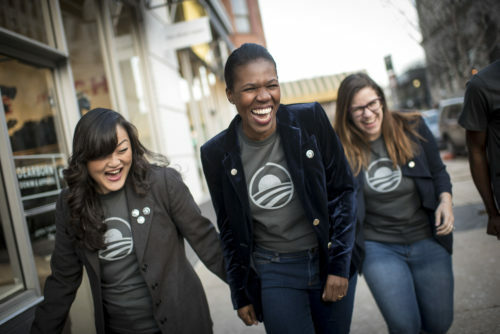 Donate $100 and get a full kit of Obama Foundation supplies! This level includes an annual gift of a sticker pack, tote bag, a single pack of our popular and exclusive Field Notes, and our limited-edition enamel pin. Your kit will arrive within a few weeks and your monthly donation will continue to support our work until cancelled. 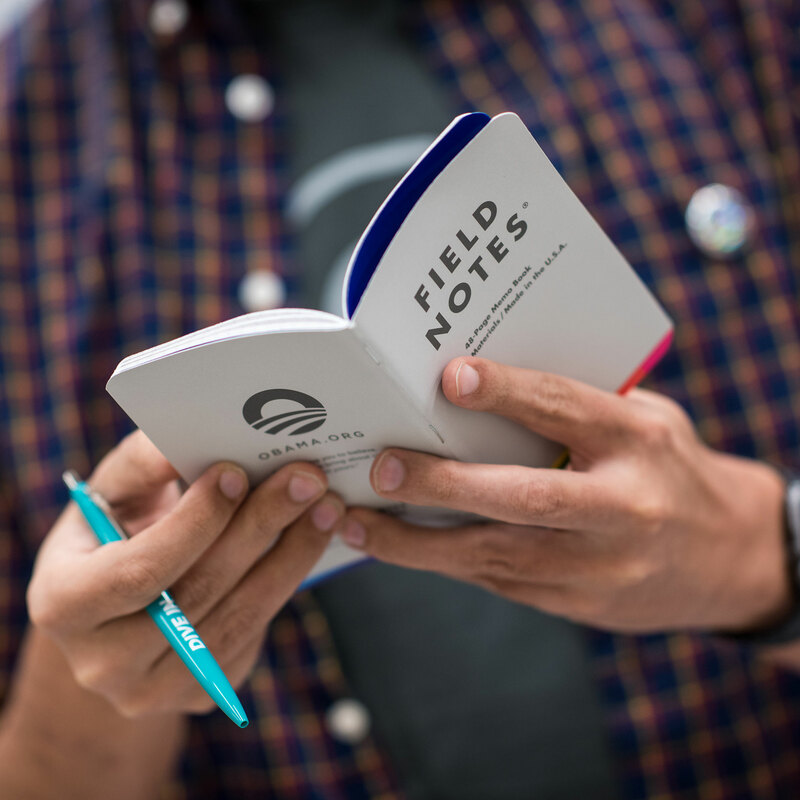 In honor of the 44th president, your annual gift of $44 will include a sticker pack, a single pack of Field Notes, and limited-edition enamel pin. 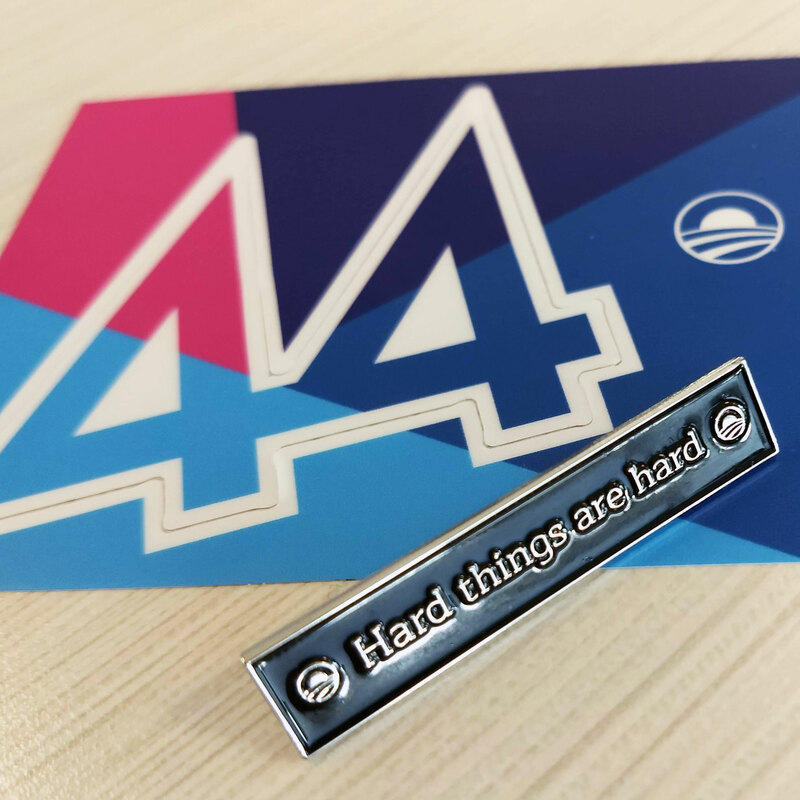 This pin is inspired by the plaque President Obama kept in the Oval Office to remind him that, while hard things are worth doing, they’re still hard. 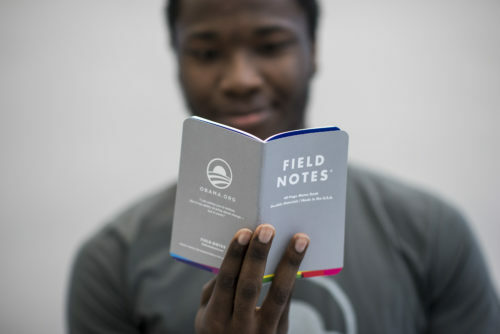 Donate $20 a month and you’ll get exclusive membership gifts including a single pack of our popular and exclusive Field Notes and a limited-edition official Obama sticker pack! 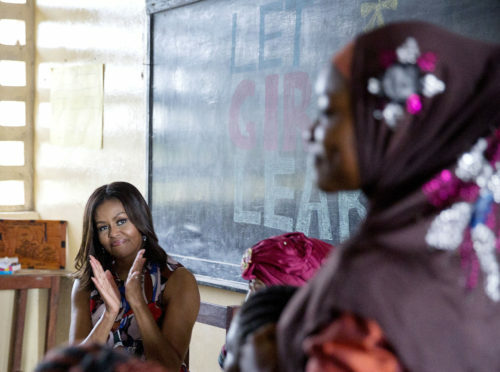 You’ll also receive our exclusive members-only newsletter and sneak peeks at Foundation updates. You’ll also be eligible for members-only chances to attend Foundation events. Your pack will arrive within a few weeks and your monthly donation will continue to support our work until cancelled. Donate $10 a month and you can choose to receive an exclusive Obama Foundation sticker sheet, or a limited-edition official Joshua Mays sticker set! 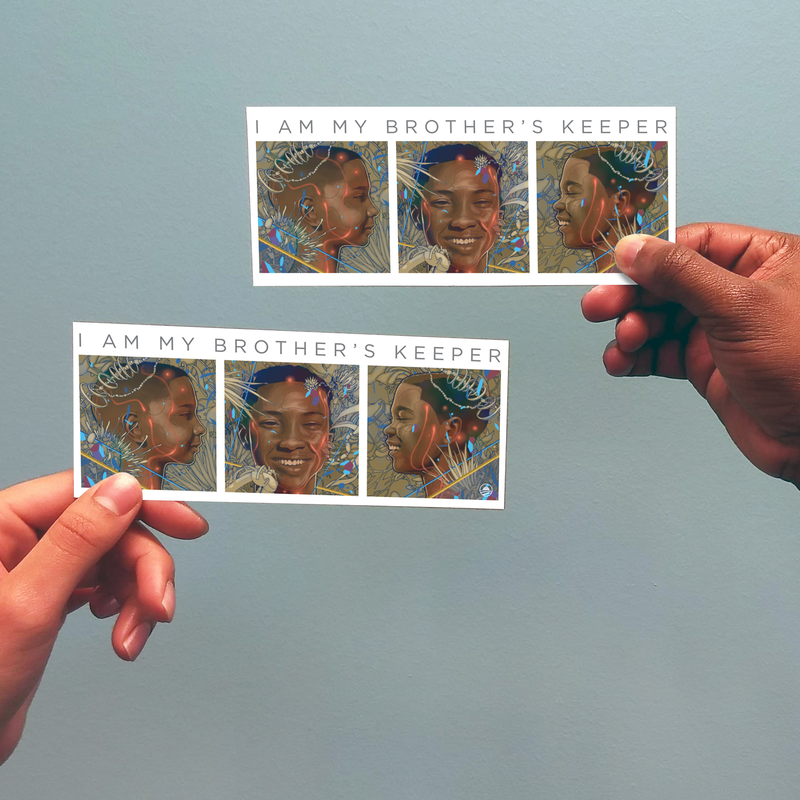 Joshua Mays is an Oakland-based artist who created a powerful installation at MBK Rising!, a My Brother’s Keeper Alliance event that celebrated the joy and energy of improving the lives of boys and young men of color. Along with the sticker set of your choice, you’ll also receive our exclusive members-only newsletter and sneak peaks at Foundation updates. You’ll also be eligible for members-only chances to attend Foundation events. 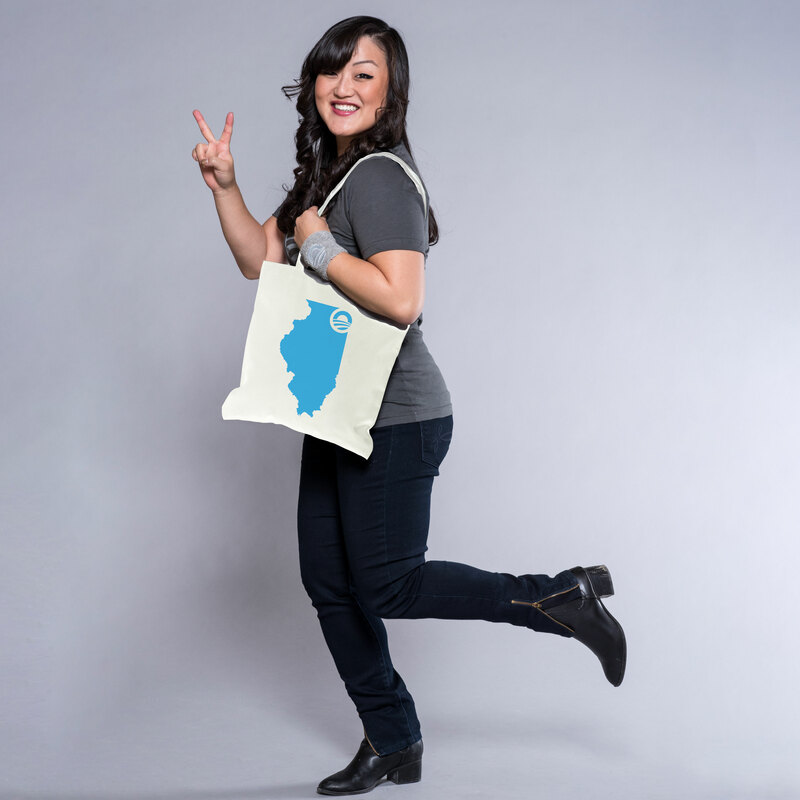 A tote that supports our mission. 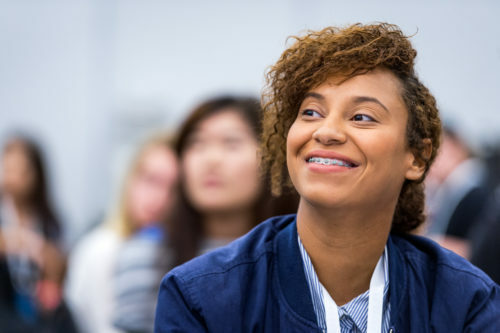 Whether you’ve been a part of this community from the start, or you’re just getting started, you belong here. 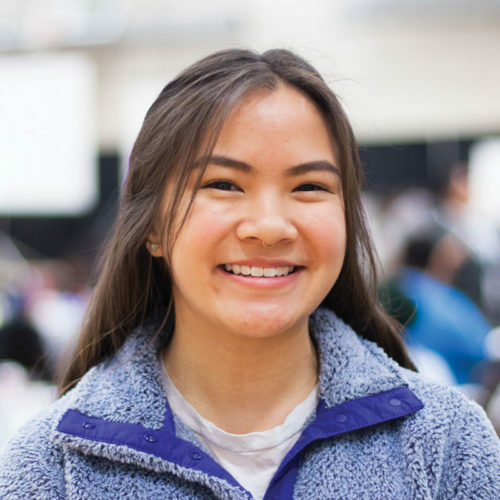 With your support, we can build a Presidential Center that will revitalize the South Side of Chicago, unite a new generation of leaders to move us forward, and work together to change history once more. I'll cover my transaction fees.